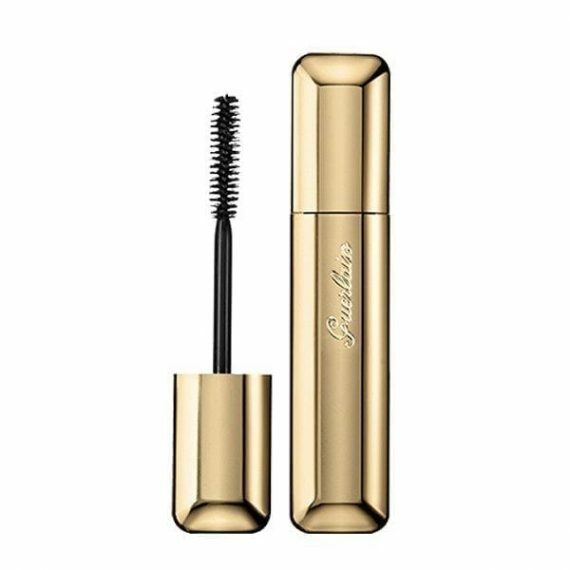 Guerlain Cils D’Enfer Mascara. This innovative formula gives maximum volume curl and hold. The secret is in the combined action of three remarkable polymers. The first wraps the lashes in extremely adherent oils, coating and thickening lashes. The second, made with supple waxes, acts like a conditioner, softening the lashes and enabling the wearer to sculpt them into just the right shape and style. The last forms a thin film, coating the lashes to trap the wax and set the impressive curve. Available in 01 Noir, 01 Noir Waterproof, 03 Moka and 04 Marine.